Showing results by author "Koons Crooks"
From Buzzfeed to Tumblr to Fusion, people were puzzled and enthralled by the story of Koons Crooks, a young man who took the Twittered musings of the Silicon Valley elite to heart - and ended up on a profoundly unexpected path, leaving behind only the lovingly hand-calligraphed tweets that had meant so much to him. His story struck an immediate chord. 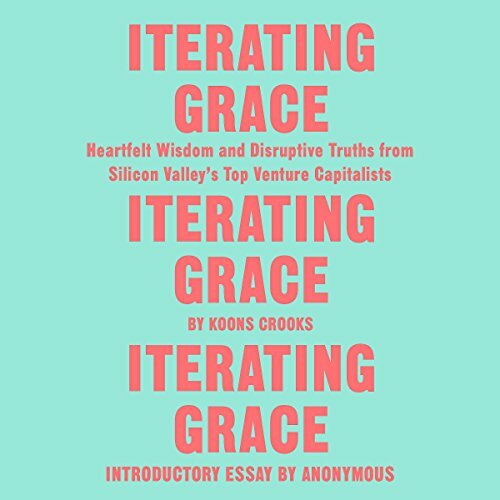 There were competing efforts to identify the author of Iterating Grace; blog posts and lengthy comment threads pointed fingers at writers all over the country.